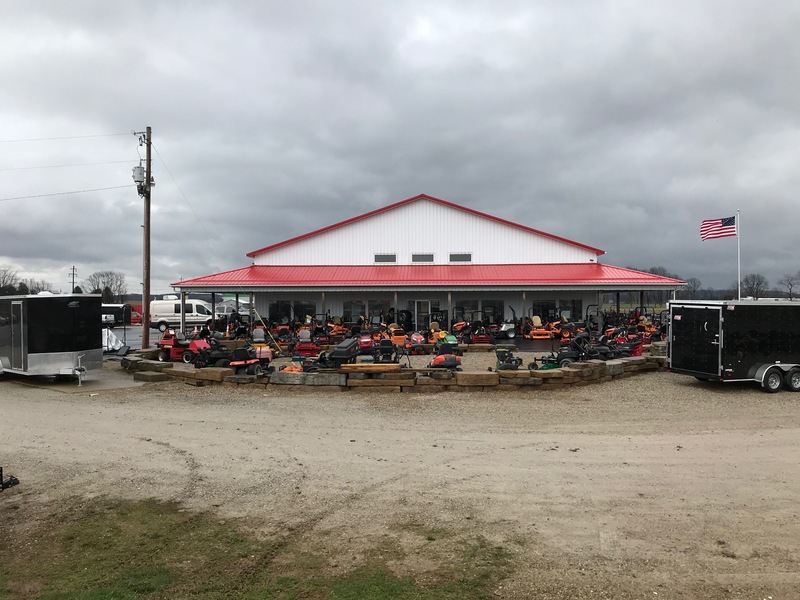 About | McGuires Distinctive Truck in Carroll OH | Home for trucks,trailer, and lawn equipment. Our business was started in 1993 as Distinctive Truck Center located on Scarborough Blvd in Columbus, OH. In 2004 we purchased a company named Street Scene which had an operation in Lancaster, OH. In 2011 Ken Sweeney purchased the company that he had worked for since 1993 with his partner Dennis McGuire. In January of 2012 McGuire's Distinctive Trucks moved into our new facility consolidating both stores to 4185 Coonpath Rd in Carroll, OH. Since the start, McGuire's Distinctive Trucks, LLC prides itself in customer service and being a small business that contributes to the community. Due to our reputation we are a member of the Fairfield County Chamber of Commerce.